The theme of the retreat was "They will call him Immanuel: God with us”. 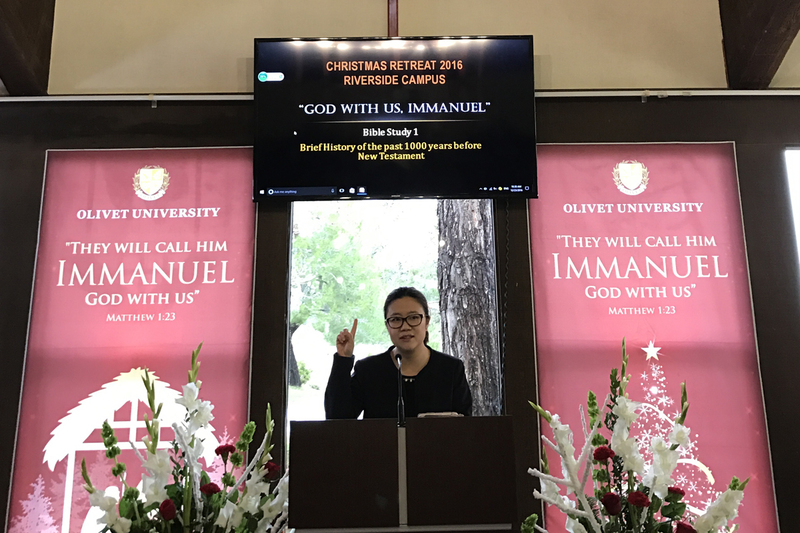 In the six bible study sessions, OTCS faculty provided a walkthrough of the happenings from the intertestamental period to the birth of Jesus. 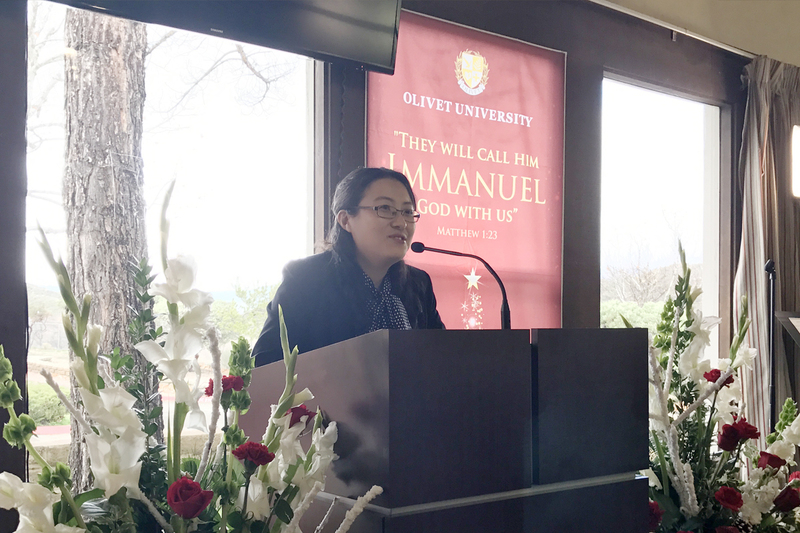 Dr. Rachael Mak explained what Israelites the chosen people of God have experienced during the intertestamental period, and that has shaped their idea of the Messiah. She pointed out that since they were blindfolded by their misconceptions, they were unable to recognize Jesus as their savior. By reviewing the theological concept of atonement and the threefold offices of Christ, students and staff learned about the significance of Jesus’ birth in God’s grand salvation plan. Once again, they reaffirmed their faith that Jesus IS the savior and eternal king for all mankind. Furthermore, in other bible study sessions, Dr. Lydia An and Dr. Matthias G Gebhardt contrasted the humility of Jesus against the arrogance of man, Jesus’ image of obedience against our image of disobedience. 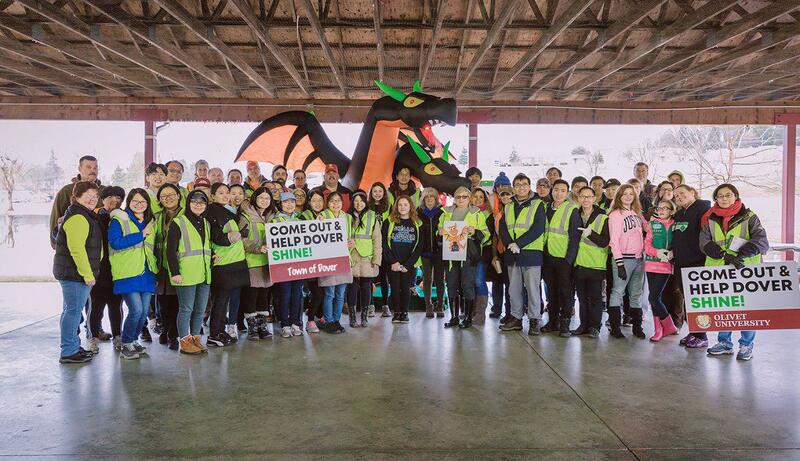 Olivet students and staff were renewed through the retreat. They could truly prepare a place in their hearts to receive Christ at the Christmas season and to experience Him more deeply every day.